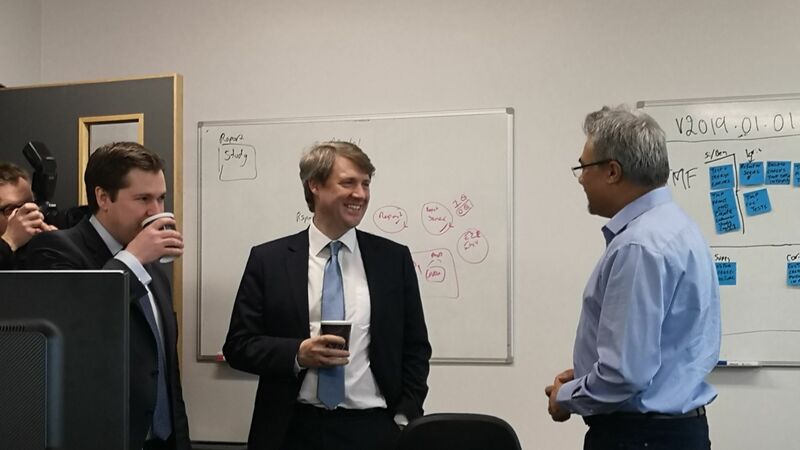 Robert Jenrick MP for Newark and Minister Chris Skidmore visited the zone at the University of Nottingham Innovation Park (UNIP) who has just announced that more universities across England can apply for funding to develop their own UEZ. By doing so, universities will develop a better understanding of what businesses are looking for from graduates and will increase the link between jobs, growth and productivity. Daljit had the pleasure of meeting Robert and Chris to discuss Pharmaseal and why UNIP was the perfect location for his start-up and future growth.